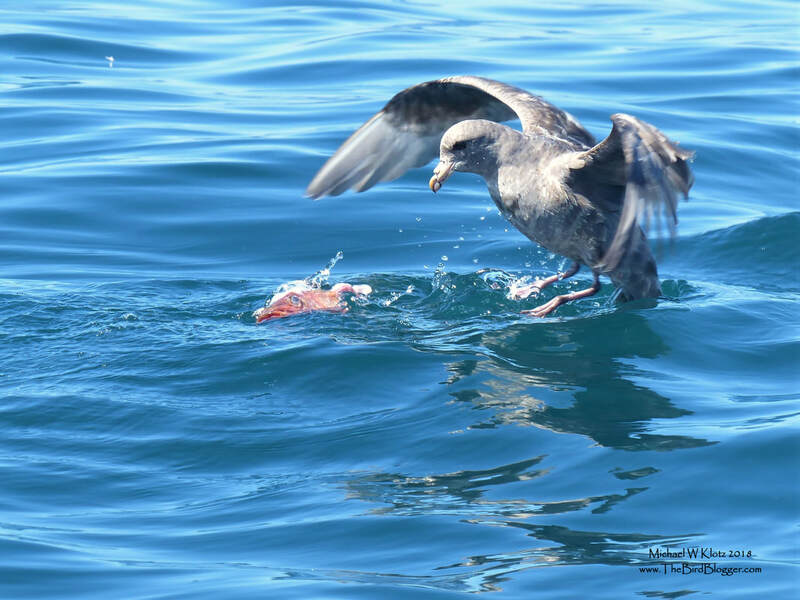 In the late spring I joined a group on a pelagic tour with Ocean Outfitters out of Tofino, BC. The captiain took us out to the deep banks off of Tofino where we were lucky enough to find a fishing vessel dropping the scraps from the haul. In the long trail of sea birds following the boat, we were able to see several of these Northern Fulmars of differing colorations. This particular birds was after the head of what looks to be a Red Snapper.